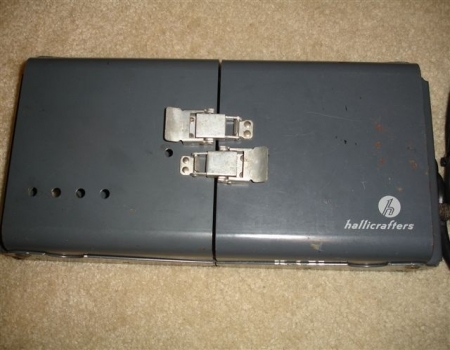 The Hallicrafters MR-400A mobile mounting rack is designed to facilitate mobile installation of the Hallicrafters SR-400A transceiver. 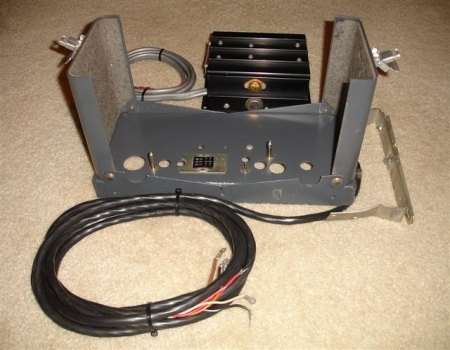 This mounting rack, with mounting bracket and straps permits transmission hump, floor, and/or under dash mounting of the transceiver. 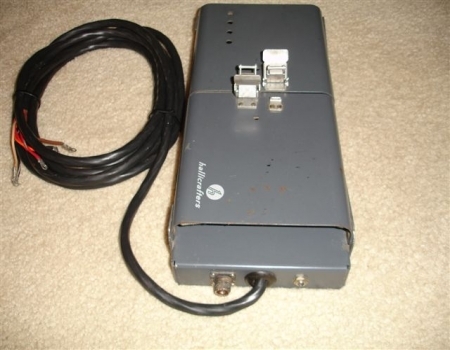 The MR-400A is equipped with a cable for connection to the PS-500-DC power supply, an audio connector mounted on the side for a speaker connection and provisions for convenient connection to the mobile antenna cable. The padded side panels of the mounting rack fit snuggly against the transceiver for a secure installation. Spring loaded hasps secure the transceiver in the rack for ready installation or removal of the transceiver without the use of tools. 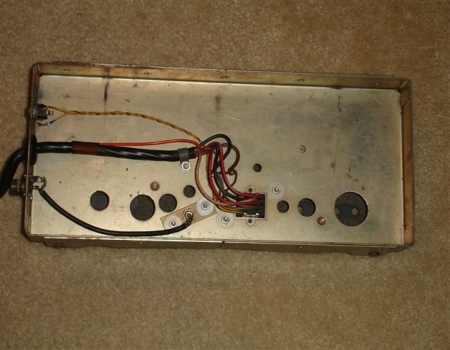 The four parallel holes that are seen on the lower left of the unit match up with the SR-400a transceiver and allow for the adjustment of VOX operation and S meter zero. 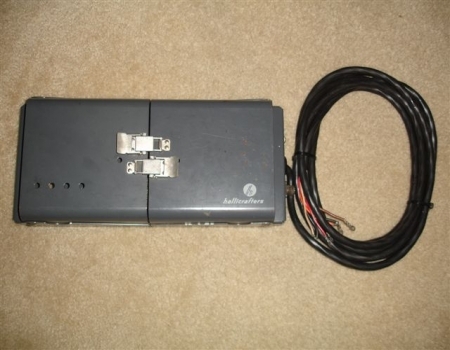 These next two photographs display the mobile mount in both the open and closed position along with the associated cable and PS-500-DC power supply. 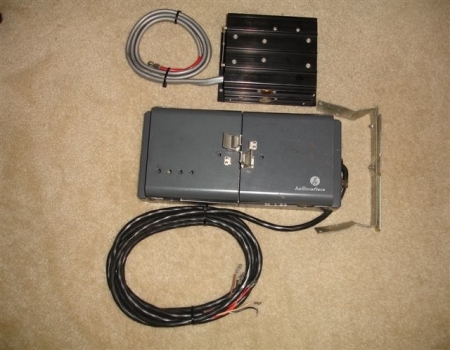 The photograph on the left is a view of the side of the MR-400A. In this picture we can see the coax connector and the connection for the audio output which is located on the other side of the black wiring harness. The picture on the right is a view of the rear of this mobile mount.